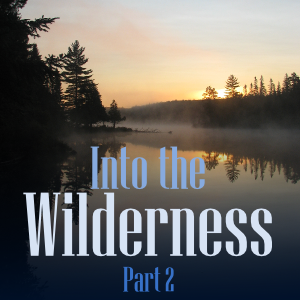 You are here: Home / For Youth Leaders / Into the Wilderness Part 2 – Challenge Accepted! Into the Wilderness Part 2 – Challenge Accepted! I clearly remember one early camping trip I went on in the middle of winter. We got into camp after dark and everyone hurried to set up their gear as the cold chilled our fingers to the bone. I was ill-prepared for the cold weather in both clothes and sleeping gear. That night, I was able to get to sleep… only to wake up at [3:00] in the morning shivering. I remember laying there feeling absolutely helpless and miserable. I counted the seconds waiting for dawn, and they ticked by extremely slowly! In the morning, I got up to a thick cloud cover above and a heavy drizzle falling everywhere. As the day progressed, it only got worse as the wind picked up and made every article of clothing I had feel completely worthless! I was miserable doing dishes; the food we ate was half-cooked; I was miserable hiking; and I came back completely soaked. I remember thinking that this camping trip was turning into quite a failure for myself and my Patrol, and there was nothing I could do about it! I couldn’t fix the weather. I couldn’t get that important part of the meal which one of the Scouts left at home. I couldn’t stop anyone from feeling frozen. This got me to thinking… Maybe it wasn’t the weather or the circumstances that made a good camp, maybe it was the way I dealt with these circumstances! If this camp was a failure, it was because I had made it so. We then built a fire-pit right in front of this (the camp allowed this). Once a fire was started, the tarp reflected the heat and held it in. It soon got nice and warm in there! I also used the fire to dry off my damp clothes! When it was time to go to bed, I boiled some water over the fire and put it in a heavy-duty polyester water bottle. Slipping this into my sleeping bag, I stayed much warmer that night and was able to get a decent sleep! I have faced many harder camping situations since then, and I’ve come to look forward to the challenge of staying comfortable with skill and preparation in weather that most people would freeze in! Sure, there were times I was still miserable, but it’s amazing what a positive attitude will do! I’ve learned that one of the biggest joys in the wilderness is overcoming challenges. These challenges build character and make you mentally prepared to handle whatever situation is thrown at you! So, have you been on any camping trips where everything went wrong? What happened and how did you handle it? I’d love to hear about it! Leave a comment below or or join me on the GreenBar life forum. In the next post, I’ll tell you how one particularly rough camping trip brought my Patrol closer together! I don’t know who originally said it, but in our troop the standard statement is: There’s no such thing as bad weather just bad clothing choices. This works well in combination with Be Prepared and helps everyone, scouts and scouters. Love it! I will use that one.